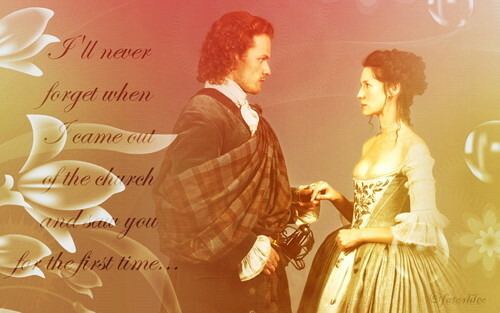 Claire and Jamie. . HD Wallpaper and background images in the Outlander 2014 TV-Serie club tagged: photo claire and jamie wallpaper. 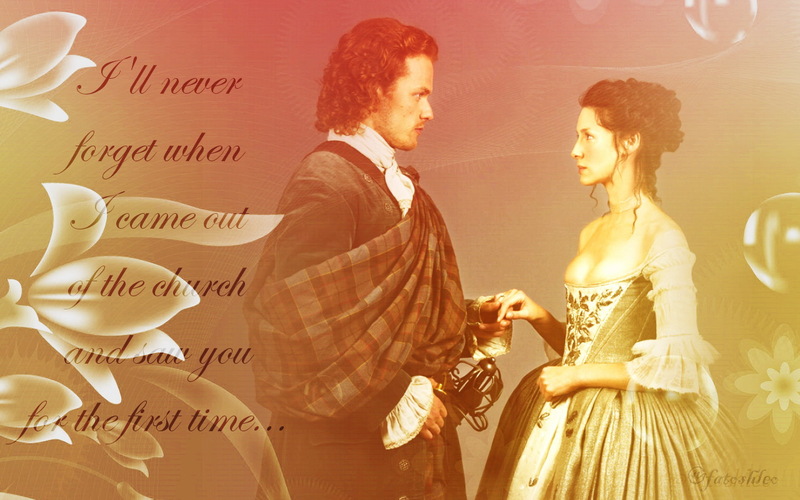 This Outlander 2014 TV-Serie wallpaper might contain strauß, korsage, sträußchen, sträusslein, blumenstrauß, posy, nasegay, and corsage.